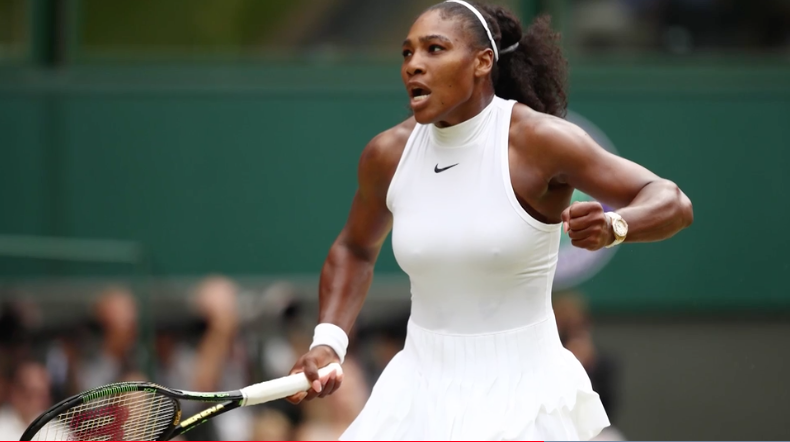 In a video montage that aired during the BBC’s broadcast of Serena Williams’s historic Wimbledon title on Saturday, Williams recites the poem “Still I Rise” by Maya Angelou. Yes, it’s as awesome and chill-inducing as it sounds. The video aired prior to Williams’s 7-5, 6-3 victory over Angelique Kerber in the 2016 Wimbledon final. Williams’s latest title, her seventh at the All England Club, is the 22nd major title of her career, tying Steffi Graf’s Open Era record. In the BBC’s montage, Williams recites the poem over footage depicting her life as a tennis player, from her childhood through the present. Williams has previously called Maya Angelou her favorite poet, and she recited part of the poem at her 2015 Sports Illustrated Sportsperson of the Year acceptance speech. “Still I Rise” is one of Maya Angelou’s most famous poems. The American poet died in 2014.